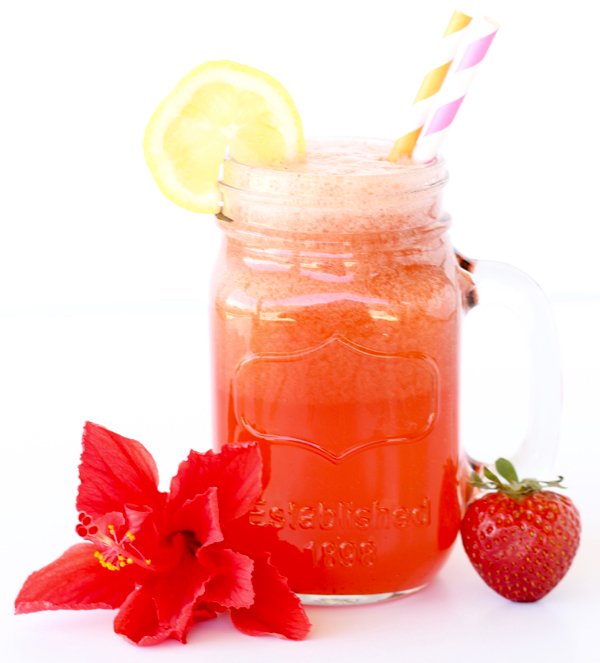 This Strawberry Lemonade Punch Recipe is ridiculously amazing! Blend thawed Strawberries, sugar, and thawed Lemonade Concentrate in blender, until well blended. Pour mixture into large punch bowl. Then slowly pour in chilled 2-liter of Sprite and stir well. Transfer into large punch bowl with glasses, or serve out of Mason Jar Mugs! ENJOY!! Serves approximately 12 one-cup servings. Depending on party size, you may want to double or triple the recipe. When determining amount to make, take into consideration the size of your cups, and also keep in mind that guests may want seconds. ENJOY!